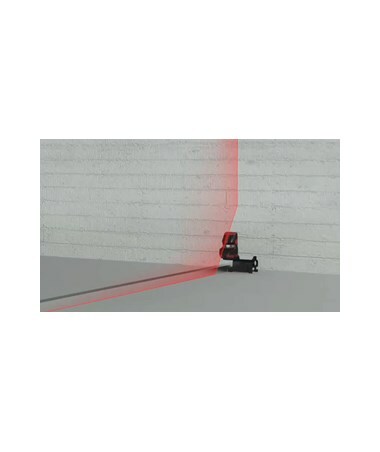 The Leica Lino L2P5 Point and Cross Line Laser offers the benefits of a line and dot laser and projects extra-long and highly visible laser lines through its large glass lens. 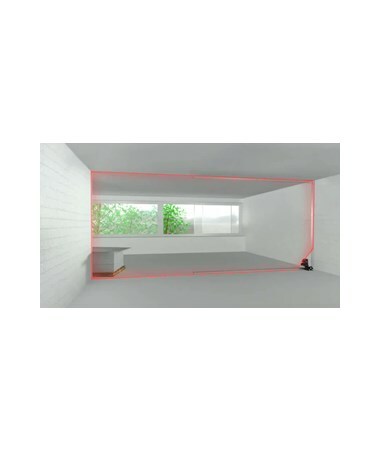 It casts 2 cross lines that can be projected at 180-degrees and 4 laser points that project at 90 degrees to each other, making plumbing, aligning, and transferring points easier. 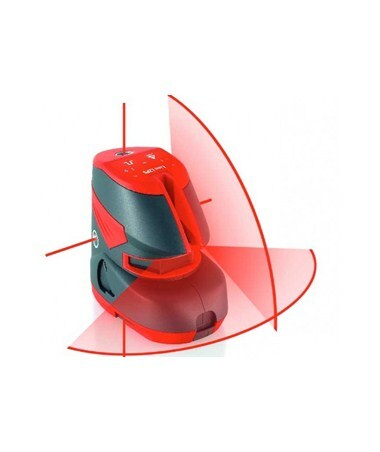 Its working range is up to 50 feet and can reach up to 100 feet when used with a laser detector. The device’s leveling and plumb point accuracy is at ±1/16 inch and automatically compensates for any misalignments within ±4 degrees. 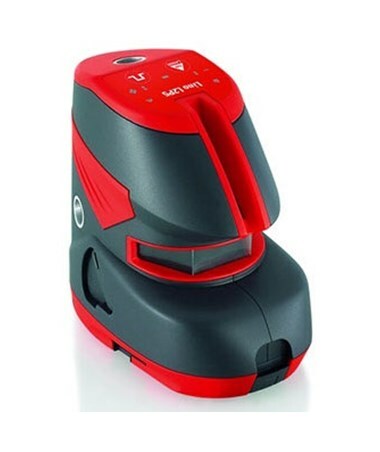 To avoid errors, the L2P5 prevents the laser points from being projected and should laser dots be projected at an angle, the self-leveling mechanism can be manually shut off by using the lock function. The pendulum can also be locked for safe transport of the device. 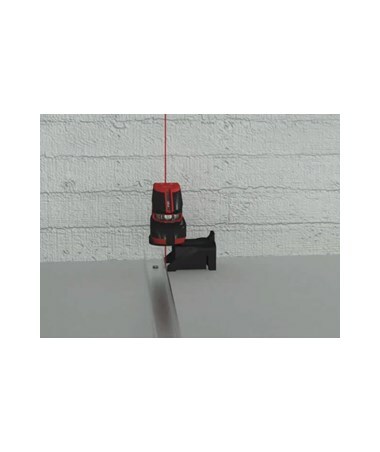 Also included is a magnetic multifunctional adapter that allows secure positioning of the laser over edges and profiles, even on a circular column. The Lino L2P5 is made of tough materials and is constructed durably. It is also dust and water resistant, which make it perfect for use in construction and outdoor work sites. The device is powered by four AA batteries and has a low-battery indicator. With the pulse mode feature, power can be saved when using this point and cross-line laser. 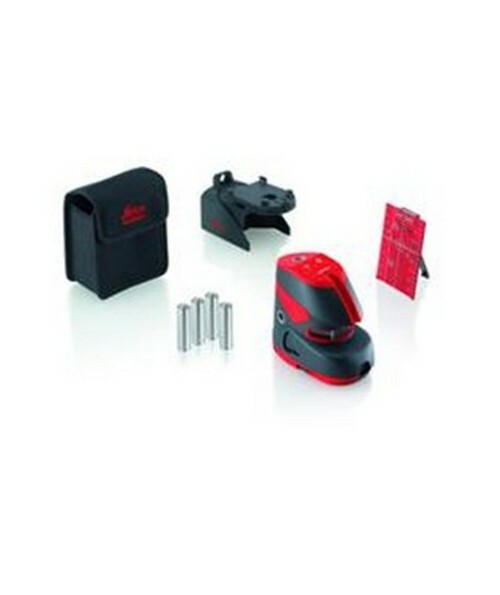 The Leica Lino L2P5 Point and Cross Line Laser is available in two different packages. Please select your preference from the menu above.